Conversion rate optimization may be something that you’ve mastered ages ago. The thing is, the CRO landscape is evolving constantly, and what you knew several years back may not be so relevant anymore. It’s important that you keep yourself updated with newer, more innovative CRO tactics. Ones that will help you drive more conversions each year. At a time when retailers and B2B companies alike are struggling to stand out, you can’t afford to have a website experience is just as generic as that of your competitors. Sure, the experience may be pleasant enough. but there’s nothing that sets it apart from others. So you have just about the same chance as your competitors to convert your target customers. 65% are more likely to buy from retailers who provide them with personalized promotions relevant to them. More and more marketers are starting to realize the importance of providing a personalized experience to shoppers. Evergage reports that 88% of marketers believe their prospects or customers expect a personalized experience. A striking 96% also agree that personalization helps them improve their customer relationships. 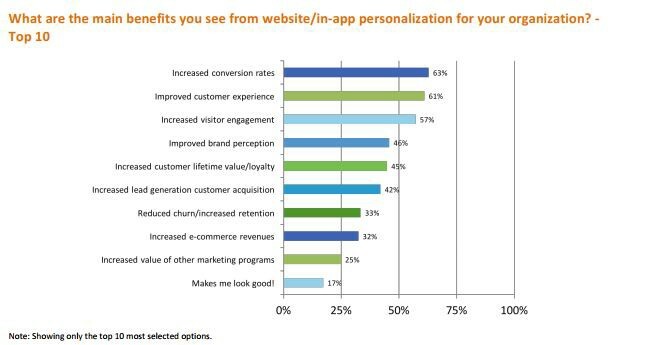 The same study also found that the biggest benefit of in-app or website personalization is an increased conversion rate. The second biggest benefit is an improved customer experience, followed by increased visitor engagement. Personalization also helps in many other aspects such as improving brand perception, reducing churn rate, etc. There are plenty of ways to personalize your visitors’ website experience. You can segment your visitors based on location, demographic, browsing behavior, etc. And then you can use these segments to deliver personalized landing pages, offers, pricing, recommendations, and more. Evergage conducted a case study on the effects of personalized experience on the Squaw Valley Alpine Meadows website. They segmented their visitors in several ways to provide hyper-personalized website experiences. First, they automatically segmented visitors based on their location and displayed home pages relevant to their referring geography. 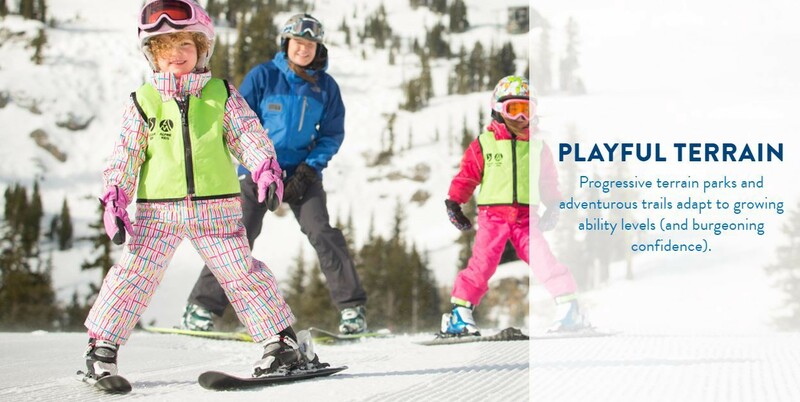 They also created key segments such as families or novice skiers and provided them with content relevant to their needs. For example, visitors who belong to the “families” segment will get to see content that showcases some of the best reasons why Squaw is such a great option for families. Squaw Valley placed visitors into the relevant segments based on the group with which they identified as or according to the content that they engage with. As you can see in the screenshot below, visitors can choose from four different groups. They’ve even taken care to personalize the CTA copy for each of the groups. This increased personalization helped Squaw Valley cater to the unique requirements and preferences of their website visitors. They were able to increase the conversion rate in the “family” segment by 38%. The revenue-per-user also increased by 41% in this high-value segment. People who shop online tend to do so because it’s convenient. They don’t want to waste their time traveling to the store when they can get what they need from the comfort of their homes. So naturally, these shoppers would also expect to find what they need quickly and purchase it without any hassle. When they’re unable to do this, it could frustrate them and result in a loss of conversion opportunity. A Pew Research Center survey found that being able to ask questions is important for 83% of U.S. adults when buying something they haven’t bought before. But when they have questions that can’t be answered by your FAQ page, they don’t want to go through the trouble of calling you up. Read the full article on Shane Barker’s Digital Marketing blog.